Our drone photography and video services provide high definition photography and video. Aerial monitoring of the overall progress of construction can be made at various intervals during construction and for completed projects. Drone photography is also used for marketing and sales on behalf of the owner, contractor or the construction lender. 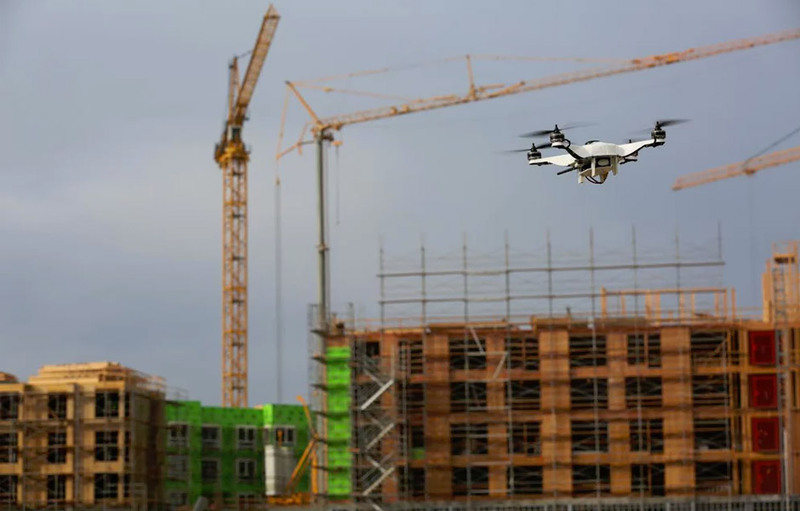 Our drones can also produce 2D Orthomosaic Maps of construction sites as well as 3D Models. This aerial content/data can be used for various purposes including marketing materials, insurance, asset tracking, and general documentation of work completed. Other uses include observations of roofs, building facades and/or problematic areas not easily accessible. We have inspected church steeples, which eliminated the need for expensive scaffolding in the initial observation and evaluation phase of service. Drones can also be used with infrared and zoom cameras to assess heat loss in buildings and wet areas in roofing. Our drone operators are licensed and approved by the FAA and fully insured,.